You can also be confident that using AMSOIL synthetic lubricants or practicing extended drain intervals will not void your new vehicle or equipment manufacturer’s warranty. In fact, it is against Federal law for an original equipment manufacturer (OEM) to deny warranty coverage based solely on the brand of lubricant used. 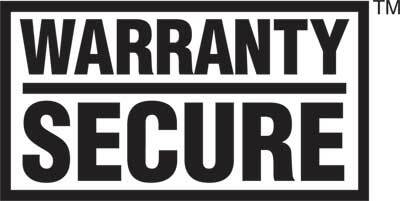 The Warranty Secure symbol informs consumers of this fact. Using AMSOIL synthetic lubricants in place of OEM-branded lubricants, or practicing extended drain intervals when using AMSOIL lubricants, does not void new vehicle or equipment manufacturer warranties.